Do You Actually Need a Project Management Certification? If you want to advance your career, you should get certified. If some organization uses some project management framework, you need to get certified. If you want to manage projects better, certification won't help you much. Certification is different from a degree. Degrees are awarded by universities and governments, take much longer to complete, and require students to take general education courses in addition to profession-specific ones. Certifications, on the other hand, are awarded by professional organizations and focus only on one area. A certificate doesn't necessarily mean a person has sufficient knowledge, only that they passed the test. Note that having a certificate doesn’t mean you’re legally able to practice or work in a profession - that's licensure. When it comes to project management, PMP is the most popular certification (and most widely recognized). After it, there are PRINCE2, SAFe, CAPM, ITIL, CSM, and others. Each certificate is different. Some are only for the IT industry, while others are applicable across industries; for some job, you need a certificate (because the company uses the framework), while for some jobs a certificate is just a nice-to-have. PMP (Project Management Professional) certificate covers project management in general. Because it doesn’t tie you down to a specific industry, it’s the most popular choice for project managers. There’s also CAPM (Certified Associate in Project Management), which is a lite version of PMP and is easier to obtain (they are both issued by PMI). PRINCE2 (Projects IN Controlled Environments) is a project management methodology for which you can get a certificate, which issued by the government of UK. While PMP is about project management in general, PRINCE2 is highly prescriptive and has strict procedures every project must follow. If you get the PRINCE2 certificate, you will have to either get a job at a company that already manages projects using PRINCE2 or introduce it. If you want to keep your options open, PMP is the better choice. ITIL (Information Technology Infrastructure Library) covers a larger area than PMP. ITIL is about the whole service lifecycle, and project management is just a part of it (the course also covers Service Strategy, Service Design, Service Transition, and Service Operation). ITIL is applicable only in the IT services industry. CSM/PSM (Certified Scrum Master/Professional Scrum Master) are two different certificates (issued by different organizations) that both cover Scrum, the most popular agile framework in software development. If you know you want to be a Scrum project manager exclusively, getting a Scrum certification is a safe choice. SAFe (Scaled Agile Framework®) takes Scrum and applies it to an enterprise (given that Scrum works well for teams but doesn’t scale when it comes to the company as a whole). SAFe is used in large corporations who have software-intensive projects, where teams are highly interdependent. Easier to get a job Having a professional certificate looks good on a resume. It means you are vetted and have the knowledge required for the position. When competing with hundreds of others resumes, it's easier to stand out. Plus, it’s good for specialization. If you specialize in Scrum, for example, you'll narrow your options but increase the likelihood of getting a job. Having a particular certificate means you’ve chosen your field and are dedicated to project management as a profession. Better pay People with the PMP certificate make $6,000-10,000 more per year than people without PMP. A certificate is your bargaining chip for negotiating higher compensation, which can earn you a 16% bigger salary. Community Certificates promote a certain philosophy and build communities. This advances project management as a science and gives you a common language so you exchange experience with other professionals and improve your skills. 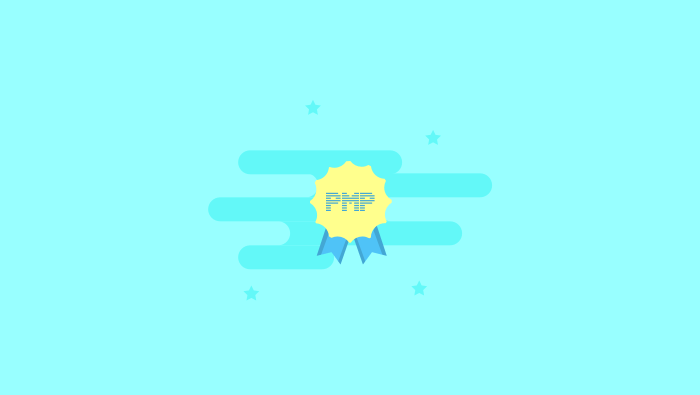 For example, to renew the PMP certificate, you need to collect points by visiting workshops, volunteering, and being part of the community (which forces you to meet other project managers and exchange knowledge). Takes time and money Each certification program is structured differently. For PMP, you need to file your entire project management experience to pass the vetting process. Then, you have to spend 35 hours listening to the course and pay $405 for the certificate ($555 if you're a non-PMI member). Exam prep courses will cost you somewhere between $1,500 and $2,000, plus roughly $1,000/year to acquire points necessary for certification renewal. All in all, a 40-year career cost of the PMP certification will cost you $42,500. Other certificates have different cost structures. Some have a high cost of training, while others cost more to acquire the certificate itself and renew it each year. Little practical application 98% of the day-to-day project management activities don't require anything they teach in a course, as PMBOK and other frameworks work only on megaprojects. But when you run hundreds of small projects, all you need are an organization, people skills, and common sense. Also, some frameworks are too prescriptive and don't allow you to customize your particular workflow. And some courses are dated, as they focus exclusively on waterfall methodologies (like PMI's). Not a reflection of skill A certificate is just a sign you can pass the test. You can be the worst project manager without a single successful project behind you - yet it doesn’t stop you from having a certificate. Because of this, some companies disregard certificates and rely on track record and personal references. Plus, there are a lot of organizations that provide training to extract as much money as possible. What happens in most cases, instead of creating a new risk management plan, the team finds a previous project plan, change the name, and put it in the archive. Same with other documents. The problem is, most of the documentation will never be used, it costs a lot to make, and delay the project. Project managers end up being paper pushers and stop progress - which is opposite of what a project manager needs to be doing. Some frameworks start with agile principles but ironically end up anti-agile. Getting a project management certificate depends on your career aspirations and the industry you work in. If you work in construction, finance, government, or healthcare - industries with a lot of bureaucracy - having a certificate is a plus. In small companies, a certificate is a hindrance as your knowledge won't be suited for the type of projects they have. You're much better off using a simple Kanban workflow than having a complex methodology no one understands. Project management certificate is not a silver bullet that will make you an excellent project manager. It's merely a sign that you have the basic knowledge of project management processes, as described in a book.